Yesterday afternoon the Holyhead RNLI were tasked to the scene of a sinking paddle steamer around 10 miles off the Welsh coast. The paddle steamer and riverboat hotel MV Oliver Cromwell was being towed from the UK to Ireland when it began to take on water. For years the iconic boat was moored in Gloucester Docks but was recently sold and was heading to her new home in Northern Ireland. UK Coastguard received a call that a paddle steamer on tow towards Ireland taking on water approximately 10 miles west of South Stack. Holyhead’s Severn class all-weather lifeboat Christopher Pearce launched immediately and headed to the scene, arriving there within 40 minutes. On arriving at the scene, it was evident the vessel was in trouble and beginning to sink from the bow. 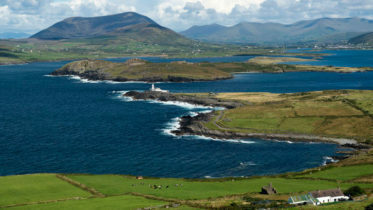 She was being towed by tug towards Ireland after a period in the south of England. The Holyhead lifeboat crew quickly ascertained that the paddle steamer did not have anyone on board, and did not contain any fuel. A very quick decision was made by the coxswain that the situation was too dangerous to try to put any crew on board the stricken vessel. 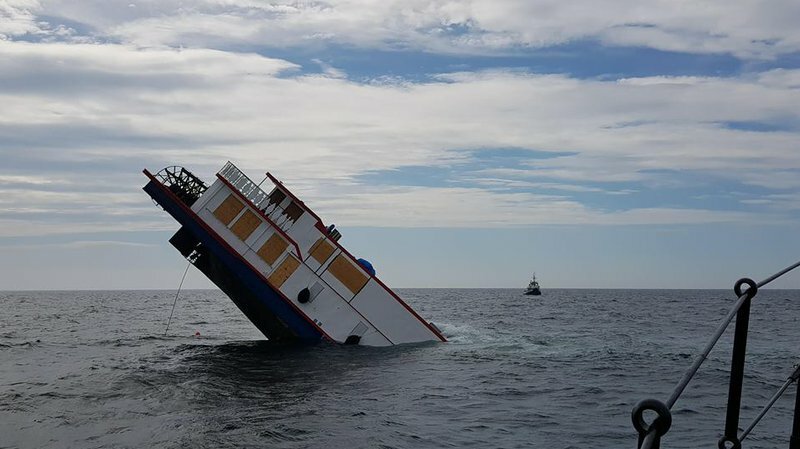 Within half an hour, the vessel had sunk further into the sea, and at 4.20pm she sank completely into the 50 metre deep waters. 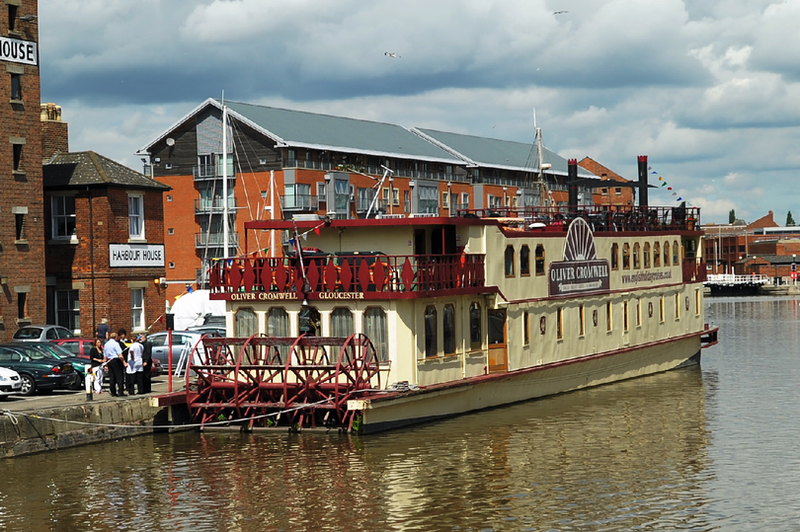 The MV Oliver Cromwell was first built as a Dutch barge in 1922 and was converted to a riverboat hotel in 1993 and for the last 25 years she was moored Gloucester Docks. The boat was recently sold and was to make her way to her new home in Coleraine, Northern Ireland.